« Review | Vegan Yack Attack on the Go! Last weekend, I held the latest live chat in the T.O.F.U. Talks series, and I’m happy to say it went really well. 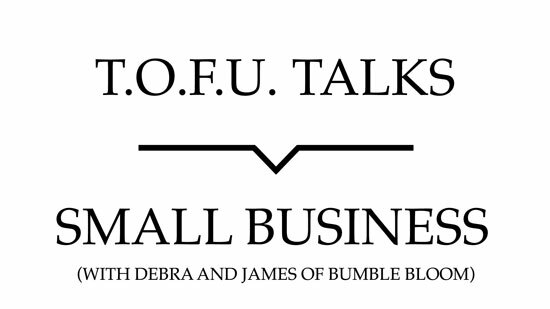 With the focus on starting, running, and expanding a small business as a vegan, it was great to chat about such things with the founders of bumble bloom, a vegan honey alternative based in Canada. Although we covered far more than just small business talk, it was nice to connect with more like-minded people who are trying to change the world in many ways. If you haven’t checked out bumble bloom just yet, I recommend you do. If you’re keen to see what we talked about during the chat, you can watch the video below.